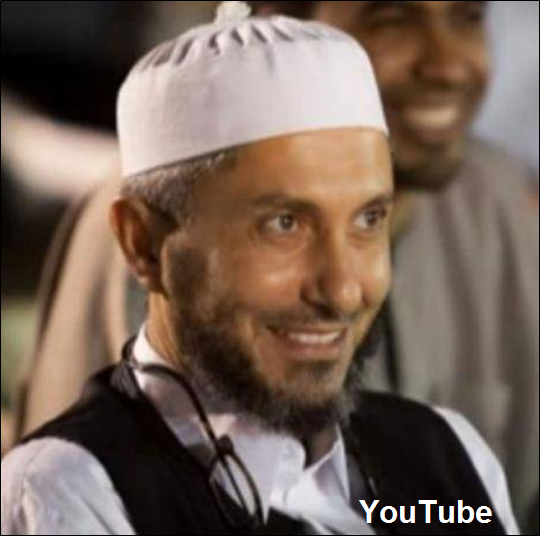 Abdul Baset Egwilla is a Libyan-Canadian Islamist cleric linked to the Manchester bomber, Salman Abedi, who detonated a suicide bomb at an Ariana Grande concert killing 22 people, including an eight year old girl. In May 2017, a senior U.S. official stated that Egwilla had links to Abedi.Katrin Beinhold, Stephen Castle, and Susan Ali Zway, “Hunt for Manchester Bombing Accomplice Extends to Libya,” New York Times, May 24, 2017, https://www.nytimes.com/2017/05/24/world/europe/manchester-bomber-salman-abedi.html. Egwilla is thought to have played a part in radicalizing Abedi, whose father, Ramadan Abedi, regularly met with the preacher at Friday prayers in Tripoli. Egwilla has denied any link with either Ramadan or Salman Abedi.Lisa Laventure and Evan Dyer, “Libyan-Canadian cleric linked to Manchester bomber plans return to Canada to clear his name,” CBC News, June 5, 2017, http://www.cbc.ca/news/politics/libyan-cleric-manchester-bomber-1.4143899. Before living in Canada, Egwilla was a member of a Libyan militant group in Peshawar, Pakistan that was supported in part by Osama bin Laden. He moved to Canada and obtained citizenship there, serving as a cleric at a mosque in Ottawa. His son, Owais, also grew up in Ottawa but was killed in March 2016 in Benghazi while fighting for the Omar Mukhtar Brigade, an Islamist militia group.Lisa Laventure and Evan Dyer, “Libyan-Canadian cleric linked to Manchester bomber plans return to Canada to clear his name,” CBC News, June 5, 2017, http://www.cbc.ca/news/politics/libyan-cleric-manchester-bomber-1.4143899. Owais had posted Facebook messages advocating violent jihad and in support of al-Qaeda propaganda.Stewart Bell, “Manchester bombing suspect Salman Abedi reportedly linked to former Ottawa extremist imam,” National Post (Toronto), May 25, 2017, http://news.nationalpost.com/news/canada/manchester-bombing-suspect-salman-abedi-reportedly-linked-to-former-ottawa-extremist-imam. In 2007, Egwilla returned to Libya, and became a prominent supporter of the anti-Gaddafi Libya Dawn movement, affiliated with the Muslim Brotherhood. After the Gadaffi regime fell in 2011, he became the administrative director for mosques in Tripoli.Lisa Laventure and Evan Dyer, “Libyan-Canadian cleric linked to Manchester bomber plans return to Canada to clear his name,” CBC News, June 5, 2017, http://www.cbc.ca/news/politics/libyan-cleric-manchester-bomber-1.4143899. Canadian authorities then accused him of preaching violent jihad while in Libya. In 2014, Canada’s Integrated Terrorism Assessment Centre reported that Egwilla had been featured in a video calling on Libyan militants to participate in jihad. Egwilla has responded that he has never called for jihad outside of Libya, nor outside the context of Gaddafi.Katrin Beinhold, Stephen Castle, and Susan Ali Zway, “Hunt for Manchester Bombing Accomplice Extends to Libya,” New York Times, May 24, 2017, https://www.nytimes.com/2017/05/24/world/europe/manchester-bomber-salman-abedi.html. Egwilla claims to have fled Libya in late 2016 after an attempted assassination by Madkhalis, Salafist followers of a radical Saudi cleric, Nadir al-Omrani. In a June 2017 interview with the Canadian Broadcasting Corporation, he said he intended return to Canada imminently from an undisclosed location to clear his name.Lisa Laventure and Evan Dyer, “Libyan-Canadian cleric linked to Manchester bomber plans return to Canada to clear his name,” CBC News, June 5, 2017, http://www.cbc.ca/news/politics/libyan-cleric-manchester-bomber-1.4143899. Abdu Albasset EgwillaStewart Bell, “Manchester bombing suspect Salman Abedi reportedly linked to former Ottawa extremist imam,” National Post (Toronto), May 25, 2017, http://news.nationalpost.com/news/canada/manchester-bombing-suspect-salman-abedi-reportedly-linked-to-former-ottawa-extremist-imam. Abdul Baset GhwelaKatrin Beinhold, Stephen Castle, and Susan Ali Zway, “Hunt for Manchester Bombing Accomplice Extends to Libya,” New York Times, May 24, 2017, https://www.nytimes.com/2017/05/24/world/europe/manchester-bomber-salman-abedi.html. Abdul Baset Egwilla is a Libyan-Canadian Islamist cleric linked to the Manchester bomber, Salman Abedi, who detonated a suicide bomb at an Ariana Grande concert killing 22 people, including an eight year old girl. “Allah they have gathered against us and are scheming against us, so scheme against them. Trick them, kill them. … We are waiting for martyrdom in the name of Allah. And by Allah this is our path until we push back evil. We will not stop nor resign.”Katrin Beinhold, Stephen Castle, and Susan Ali Zway, “Hunt for Manchester Bombing Accomplice Extends to Libya,” New York Times, May 24, 2017, https://www.nytimes.com/2017/05/24/world/europe/manchester-bomber-salman-abedi.html. “Jihad today is simple and easily accessible, and does not require moving as in the past, as it was for Afghanistan and Iraq…”Katrin Beinhold, Stephen Castle, and Susan Ali Zway, “Hunt for Manchester Bombing Accomplice Extends to Libya,” New York Times, May 24, 2017, https://www.nytimes.com/2017/05/24/world/europe/manchester-bomber-salman-abedi.html.